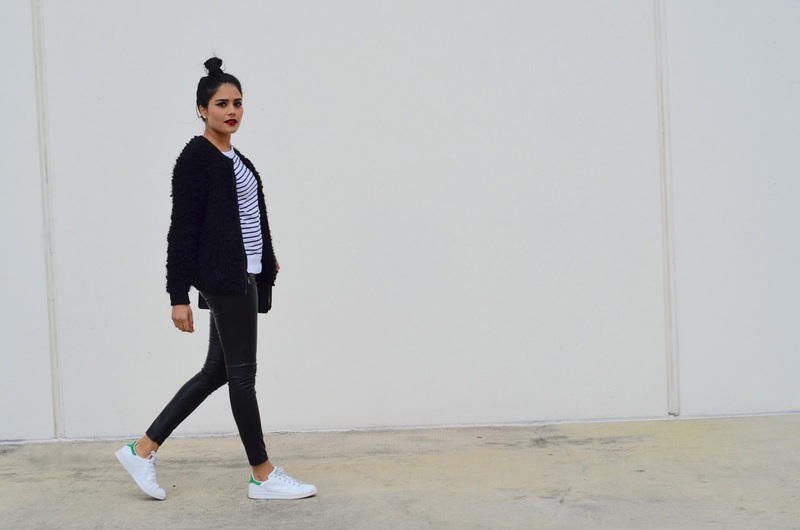 A parisian in America by Alpa R | Orlando Fashion Blogger: Cool French Look? 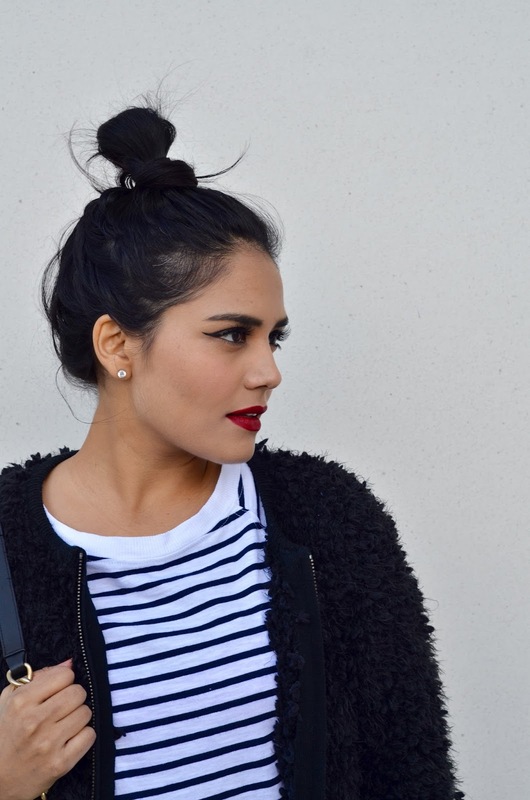 Bonjour my Beauties, fancy adopting the effortless cool French Look ? Well, here is one inspiration where I am featuring some must haves in order to rock that style. A striped top is a necessity, I love the one's from H&M & Zara, it's an affordable price with an amazing quality. Then comes the sneakers, in my opinion the accessory that makes it effortless. You may feel strange at the beginning if you are not use to it but it's a must-have for that cool French look. My current crush in terms of sneakers are the Stan Smith from adidas but you have several brands that offer similar style or you can always alternate with some Converse. And those 2 worn with neutral colors, I always adored black but you could alternate the leather pants with a jeans for example. In terms of accessorize, "Less is more" so have a cute neutral bag, preferably cross-body and you are good to go. You can add a little extra with red lips if you'd like!